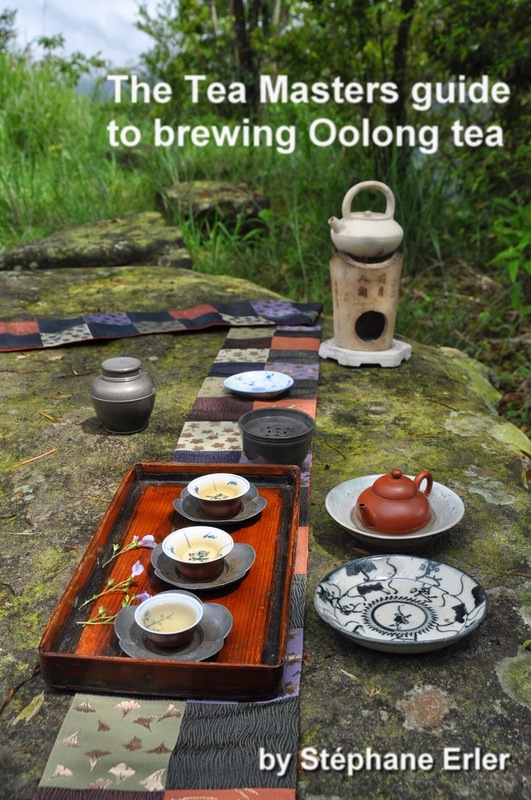 Tea Masters: What do tea masters do in summer? They drink tea! But to avoid excessive perspiration, they take refuge in the mountains, where the air is cooler and swept by caressing winds. 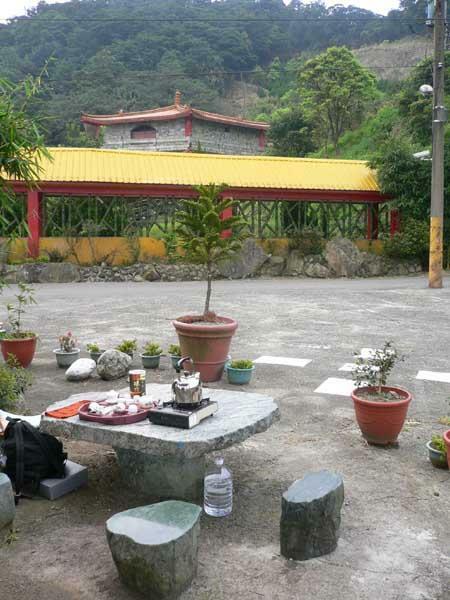 Last Saturday, I went to a very nice spot on Nankang Tea Mountain, east of Taipei: Guang Ming Temple. 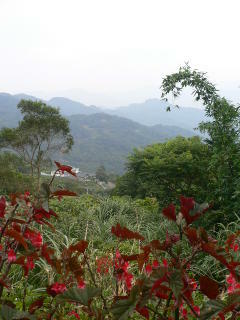 From there, I had a commanding view of the Wen Shan mountain area. The temperature was 5 degrees lower than in downtown Taipei and enabled me to set up my gong fu cha accessories I always carry in the trunk of my car (except gas bottles!) 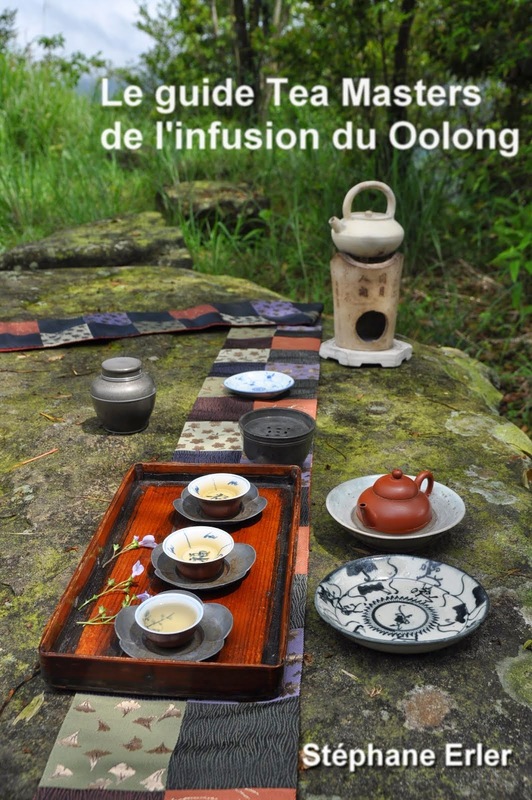 I had time to drink green tie kuan yin, a second place oolong dong-ding competition tea and the rest of my Shi-zou Ali Shan oolong! This list probably makes me a very thirsty tea drinker! It was a most enjoyable moment. The colors of the leaves were particularly bright under the sun. It didn't matter that the tea was warm. As Teaparker says: "Tea is a natural product. It is therefore very suited to be drunk outdoors. It will adapt to its environement and quench more than just our thirst." That must have been a very refreshing and relaxing tea time. One of these weekends I am planning to hike up a mountain so that I am up in the marine layer and brew a nice sheng. Thank you for inspiring me !